Near the capital of Karpathos, Pigadia, you will find a long stretch of beach called Vrontis (the locals also call it "Xenonas"). 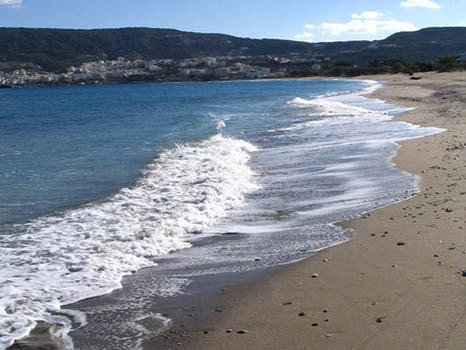 It is not the best beach in Karpathos, but it is certainly the largest. It is also the most easily accessible because of its proximity to Pigadia and its many hotels.